Only few Muslims of today know about the great heroes of Islam, the ones who worked to raise Islam and its affairs. Today much of Islamic history is lost and the great works of heroes of Islam obliterated from the minds of Muslims. The history of Islamic heroes was replaced with the history of Western criminal leaders and misguided thinkers in educational curricula and teaching methods. So the history of Islam and its heroes, a history of victorious leaders who raised the flag of Tawheed (Oneness) on the face of earth has vanished from the minds of new Muslim generations. Muslim rulers ruled with justice and fairness which humankind never came to know before. However their rule became (fairy) tales which cannot be believed by those who live at the time of decline which humankind lives through today since after the demise of Islam politically, economically and socially under the shade of the Khilafah State (Caliphate) and after the hegemony of secular systems which split the mankind socially, impoverished their life economically, subdued them politically and caused laggings academically. Amongst those heroes and legends in the history of Islam is the Mughal Sultan Aurangazeb. Sultan Aurangazeb was born in Dahod, a town in Gujarat of India on 15th Dhul Qa’da 1028 Hijri (24th October 1619 C.E). He was the great Sultan whom everyone knows and he was as brave as a lion. He was the energetic leader, one of the heroes of Islam through whom Allah (swt) humiliated kufr, shook up the tyrants, and crushed the throne of atheists. Aurangazeb fought against corruptions and its people in all the regions. He demolished injustice and darkness from its foundations until the roof fell over them from their tops. He forced the gigantic figures to be submissive to Allah and His Messenger ﷺ. He made those who refused to accept the truth after it was clarified to them with clear proof from Allah to be humiliated and dwarfed. He led the Muslims of his time to follow the righteous path and the way to clear destination. He was the faithful advisor to individuals and public. He was the reviver of this Deen at that time to the point that he was titled to be one of the remaining righteous caliphs. The great Muslim leaders are brought up with the distinct traits that show the signs of real leadership even from a young age. Aurangazeb showed the signs of diligence, acceptance to the religion, restraining from amusement and absurdity since his childhood. He was an unchallengeable brave horseman. He was brought up on the school of thought of Imam Abu Hanifa i.e. he was raised up in the pure Islamic environment and not contaminated with impurity. He was undertaken by Imam Muhammed Ma’soom Sirhindi (Ibn Sheikh Ahmed Sirhindi) for his culturing. Sirhindi sacrificed all to raise him up. So Aurangazeb learned Quran and its goodness. He learned Hanafi jurisprudence and excelled at it. He was mastered in writing and learned horse riding and fighting. He was very fond of poetry and he was a poet. He learned Arabic, Persian and Turkish languages. He was contrary to the Muslim rulers of today, who are brought up in castles where Book of Allah is not recited and all they are taught is Western culture and foreign languages. They rely on foreign nursemaids and teachers for their culturing and education and brought up as if they are Westerners in origin and often they do not master in the language of their own people. When they are young, they are sent to Western universities and institutions to the point that Britain’s Royal Military Academy of Sandhurst becomes the carers of sons of Muslim rulers. They are sent to it and to other similar universities in order to develop themselves as Western personalities. And they return to their land after their graduation to rule Muslims with Kufr, iron and fire as if they are Western officers from colonial nations, being sent to protect the regimes which they installed on Muslim lands, to serve the Western interests and to loot the wealth of Muslim lands. One who is brought up with Islam and has the ability to reform the crookedness in authority (ruling) or to change the corrupt reality, he will not accept the ‘moderate’ solution or the patchwork solution and he will not flatter the truth or adulate the falsehood. Hence a Muslim looks at things from the perspective of either it is truth or falsehood and he will not see any third option as acceptable. It is therefore when Aurangazeb noticed the indolence of his father in ruling with Islam and saw himself as capable to reform the crookedness of his father’s authority, he removed his father and brothers from power and declared himself as Sultan of the country. He was at the age of 40 when he became Sultan. Since then he did not rest or seek comfort, rather he remained in the state of jihad for 52 years until the Indian Subcontinent was subdued to Islam right from the Himalayan heights to the Indian Ocean, from Bangladesh of today to the borders of Iran. It was during his reign that the Islamic Mughal Sultanate of India saw the largest expansion ever. It was due to the military struggle made by the Sultan that no provinces of India remained except under his control. Aurangazeb was able to transform the whole Indian Subcontinent into Islamic governance (wilayah) of the Mughal whose east and west, north and south were tied under a single leadership, owing allegiance to Ottoman Khilafah state of Istanbul. Under his reign, Muslims fought more than 30 battles, out of which 11 were led by himself and the rest were handed over to his commanders. Rightly guided ruling of any authority appears only through actions and not with hollow slogans. So whoever claims to create a state similar to Madina State, it is upon him to implement the Sharia which the Madina State implemented. And it is not sufficient just to raise slogans. When Sultan Aurangazeb came to ruling, he canceled 80 types of taxes, imposed Jizya on non-Muslims which had been canceled by his predecessors. He built masjids, baths, khaniqah (الخانقات), madrasas (schools) and hospitals. He repaired many roads and built gardens to the point that Delhi became the chief city of the world during his reign. He appointed judges and his deputies in each state and declared to the people that “whoever has rights against the Sultan, let him raise it to the deputy who will raise it to him”. He forbade celebrating the idolatry celebrations (e.g. Nowruz festival –Iranian New Year). He forbade long sermons (khutba) which greeted the Sultan and restricted them to greet Islam alone. He forbade wine entering into his lands. Judges were assigned with a book of Hanafi madhab in order to judge based upon it. He ordered the book to be written under his watch and supervision and it was famously named as ‘Fatwa-Hindiyaa’ (also known as Fatawae Alamgiri). He did not make excuses to rule with the Book of Allah such that he memorized the noble Quran while he was in power. One of the manifestations of the ruling of Auragazeb, the guided, is his implementation of things which were not prevalent during his time. For example, he did not give gifts or stipend to Ulema (scholars) and instead demanded from them to work or compile (a book) or teach so that they would not take wealth and become lazy. Sometimes, he gathered the evil people and took back the wealth taken without right. He (may Allah have mercy on him) submitted himself to the scholars, made them closer to him, listened to their consultations and magnified their capacity. Sometimes he ordered his commanders in to audience to listen to their consultations out of modesty, for they had the understanding of Sharia which the ruler needed in judging with what Allah has revealed. When he heard of his deputy in Bengal sitting in a throne like chair, he forbade it and he was harsh on him. He ordered him to sit like the rest of the people. This is in contrary to what our rulers of today are, who shower the scholars with wealth to buy them so that we find the scholars of Sultan and scholars of Dinars. Some of them were paid with millions of Dinars, Riyals and Rupees for their fatwa which justified the heinous deeds of the ruler like many ulemas in Hejaz and Muftis in different Muslim lands. They are the ugliest people and they are neither pious nor pure like those who account the rulers when they make error, who straighten the crookedness of rulers and who do not fear the blame of the blamers for the sake of Allah. The righteous rule of a righteous ruler does not disappear with his death; rather his good deeds remain as continuing charity (sadaqathul jaariyya) in the life of people until Allah wishes. Aurangzeb built Badshahi Masjid in Lahore which remains still as a witness upon the glory days of Muslims and their authority. The Sultan died at the age of 90 in 28th Dhul Qa’da 1118 AH (20 February 1707 CE) after he ruled for over 52 years. 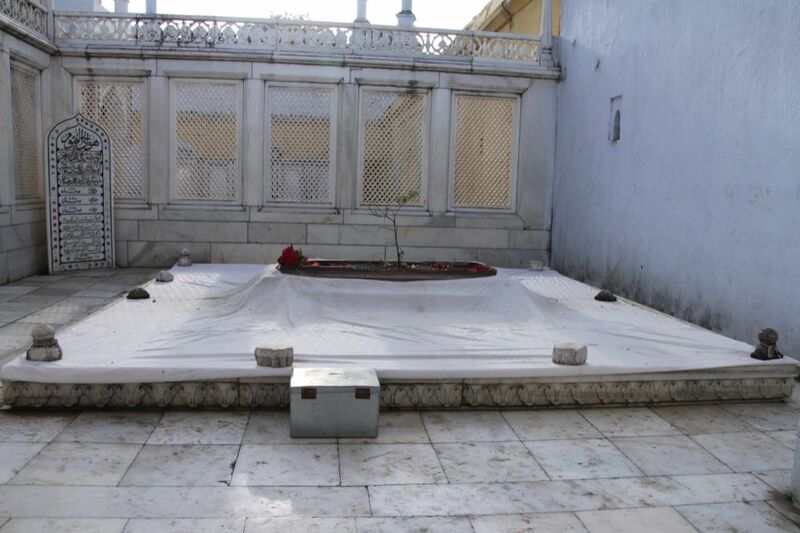 It showed his piety that when death reached him, he instructed to bury him near to the graves of Muslims and that the cost of his burial shroud (kafan) should not exceed five rupees. Thus, the rule of righteous Muslims should not be limited to a certain time period as we see today in Democratic systems, for the people benefit from the longevity of the rule of righteous men. Hence, the rulers in Islam are those who rule with the Book of Allah (swt) and the Sunnah of the Prophet ﷺ, and therefore even if their rule is long it remains righteous. As for the one who rules with his whims, desires and for the benefit of a group of rulers and their families, he can only draw the country into corruption and injustice.